Looking for somewhere to enjoy a romantic treat, or a group night out? 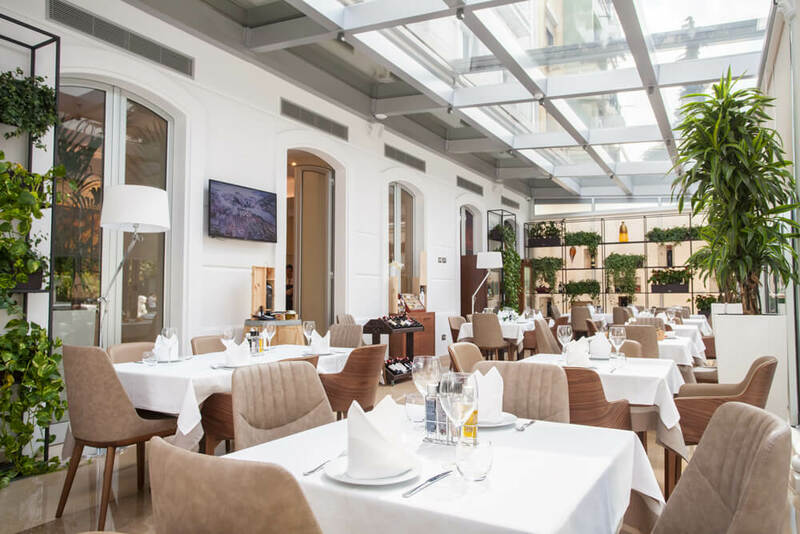 Hotel Colosseo Restaurant is the perfect place to relax, for lunch or dinner. Enjoy our tasty lunch and dinner menu from midday to 11pm. Tuck into a satisfying menu: Seafood Variety, Classic Caesar Salad, Pasta and Risotto, Fresh Fish and Meat cooked with love from our Chef. The Colosseo Bar offers a constantly changing fare of spectacular cocktails. The Colosseo Bar is a bar with both personality and mixology of top class. The Cocktail & Pastry Bar is a most popular spot for a quiet drink, a quick coffee or a casual bite. The bar is a chic mix of old school charm and contemporary design. The Front Bar, facing out onto Square, with impressive panoramic windows, is the perfect location for an informal business meeting or catching up with friends over tea and cakes. Why not enjoy our outdoor terrace bar, on a fine day; relax and watch the word go by. 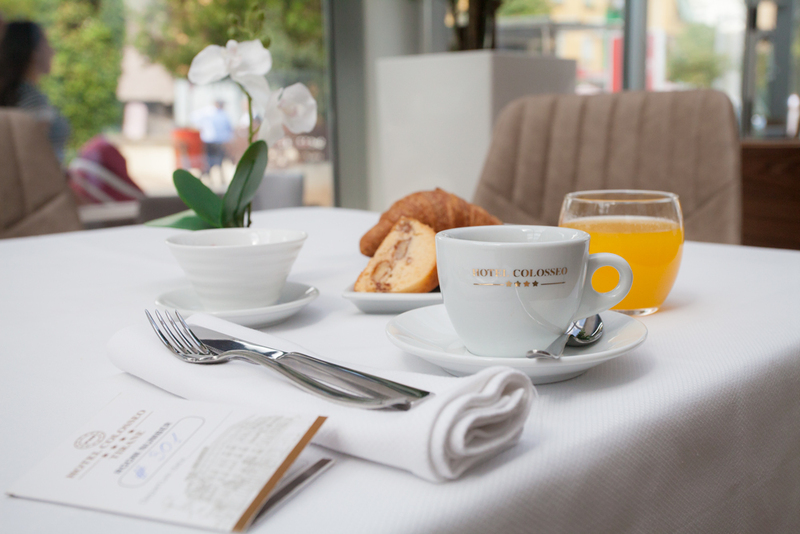 Choose from our morning menu or snack bar lunch menu; fresh pastries, piadine, open club sandwich, homemade pie.